Home Tags Posts tagged with "oscar pistorius trial"
Oscar Pistorius has returned to Pretoria court for sentencing after being convicted of killing his girlfriend, Reeva Steenkamp. Oscar Pistorius, 27, was found guilty of the culpable homicide of Reeva Steenkamp last month but he was cleared of murder. His psychologist was the first defense witness to speak at the sentencing hearing, which could last several days. Thokozile Masipa said the South African athlete had acted “negligently” when he shot Reeva Steenkamp through a toilet door, but in the “belief that there was an intruder”. Oscar Pistorius had strenuously denied murdering Reeva Steenkamp after a row on Valentine’s Day 2013, saying he shot her by mistake. Reeva Steenkamp, a 29-year-old model and law graduate, was hit three times by bullets shot through a toilet door by Oscar Pistorius at his home in the capital, Pretoria. Oscar Pistorius’ personal psychologist Lore Hartzenberg told the courtroom on Monday, October 13, that the Paralympic champion was “very emotional” during grief therapy sessions, which were often disrupted by his weeping and crying. Lore Hartzenberg said the athlete felt “vilified and humiliated” by the media and social media networks, making him feel “utterly worthless”. Judge hokozile Masipa is to hear legal arguments and testimony from a number of witnesses before passing sentence. Oscar Pistorius, who has been on bail since the verdict, was also found guilty on a charge of negligently handling a firearm that went off in a restaurant. He was acquitted of another charge of firing a gun in public, through the sunroof of a car, and of illegal possession of ammunition in the home where he killed Reeva Steenkamp. The parents of Reeva Steenkamp said “justice was not served” after Oscar Pistorius was acquitted of murder. June and Barry Steenkamp told NBC News of their “disbelief” that the court had believed Oscar Pistorius’ version of events. Earlier, Arnold Pistorius, the athlete’s uncle, said the family was “deeply grateful” to the judge for finding him not guilty of murder and that a “big burden” had been lifted. South Africa’s prosecuting authority said it was “disappointed” that Oscar Pistorius was not convicted of murder but said it would wait until after sentencing to decide whether to appeal. Despite the conviction, the International Paralympic Committee has said Oscar Pistorius would be allowed to compete in future events. At the start of closing arguments in his murder trial, Oscar Pistorius has been accused of being a “deceitful witness” who dropped the “baton of truth”. Prosecutor Gerrie Nel began his concluding remarks on Thursday, with the defense due to follow on Friday. Oscar Pistorius denies murdering his girlfriend Reeva Steenkamp. The South African athlete says he mistook her for an intruder, but the prosecution says he deliberately shot her after a row. Reeva Steenkamp was killed at Oscar Pistorius’ home in Pretoria on February 14, 2013. The long-running trial was adjourned last month ahead of closing arguments. At the court in Pretoria, Gerrie Nel began his closing argument by accusing the athlete’s lawyers of presenting two lines of defense that “can never be reconciled”. Oscar Pistorius, 27, said he had fired both involuntarily and also out of fear, Gerrie Nel argued, insisting the court had to choose only one of his defenses. He said the court “should have no difficulty in rejecting” the athlete’s version of events because it was “devoid of any truth”. Gerrie Nel also attacked Oscar Pistorius for presenting himself as “a victim of circumstance”. Oscar Pistorius’ estranged father, Henke, was in the packed courtroom for the first time during the trial. It was also the first time that Barry Steenkamp, Reeva’s father, had attended. The prosecution is convinced Oscar Pistorius gave conflicting accounts of how and why the double amputee shot Reeva Steenkamp four times through his toilet door. Judge Thokozile Masipa is now likely to intervene more and her questions could well provide hints about a future verdict. Oscar Pistorius’s lawyer, Barry Roux, will give his closing remarks after Gerrie Nel, in what correspondents say is the final showdown between two of South Africa’s top legal minds. The judge is expected to adjourn the trial after hearing the arguments to consider her ruling, a process that analysts say will take in between a week to a month. The defense team of South African Paralympic champion Oscar Pistorius has condemned the airing of a video showing the athlete re-enacting the events of the night he killed Reeva Sttenkamp. The footage shows Oscar Pistorius shouting and running on his stumps as he simulates holding a handgun. It was aired in Australia only by broadcaster Channel 7 on Sunday. A spokesperson for Oscar Pistorius’ said that the footage was filmed in order to create a “forensic animation”, but that it was “obtained illegally”. “For the family, the airing of this footage constitutes a staggering breach of trust and an invasion of the family’s privacy,” the statement said. The footage has not been seen in court in South Africa, where the athlete is on trial for the murder of girlfriend Reeva Steenkamp. In the video – filmed at his uncle’s house – Oscar Pistorius rushes forwards on the stumps of his legs. He is also shown carrying a woman out of a toilet and downstairs. The re-enactment was done to help US specialists create a computer model of the shooting of Reeva Steenkamp. It is not clear why the full reconstruction was not used at the murder trial. In the leaked footage Oscar Pistorius looks unsteady on his stumps, but perhaps more mobile than one of his doctors had described in his evidence last week. Oscar Pistorius says he shot his girlfriend after mistaking her for an intruder in their house last year. The prosecution argues that he killed Reeva Steenkamp deliberately after a row. Oscar Pistorius’ trial will resume on Monday, July 7. Oscar Pistorius has been greatly affected by his disability, a sports doctor has told his murder trial. Dr. Wayne Derman told the court in Pretoria that Oscar Pistorius suffered “significant stress and anxiety”. Oscar Pistorius, 27, says he shot Reeva Steenkamp after mistaking her for an intruder in their house last year. The prosecution argues that the Paralympic champion killed his girlfriend deliberately after a row. At issue is Oscar Pistorius’ state of mind at the time of the shooting. 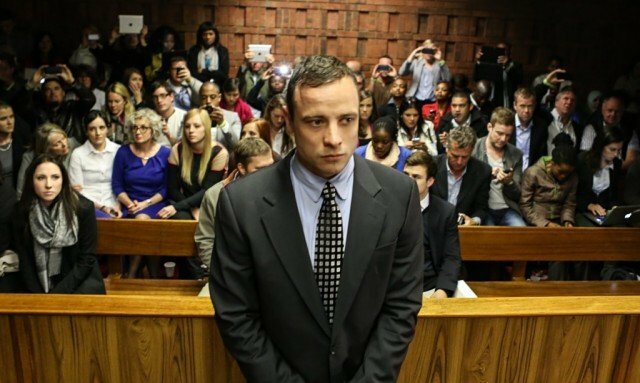 On Monday, the court heard he was not suffering from a mental disorder when he shot Reeva Steenkamp. According to a psychiatrists’ report, Oscar Pistorius is capable of distinguishing between right and wrong and so should bear criminal responsibility for his actions. The court also heard a psychologist’s assessment on Wednesday which found that Oscar Pistorius had PTSD since the shooting and could be a suicide risk. It found he was mourning Reeva Steenkamp, a model and law graduate. Oscar Pistorius’ lawyer, Barry Roux, has argued that his client would react more sharply to fear than an able-bodied person would because of the anxiety caused by his disability. Wayne Derman, a professor of sports and exercise medicine at the University of Cape Town, was the final witness called by the defense. Dr. Wayne Derman said Oscar Pistorius had had a “lifetime of real and learnt vulnerability” as a result of his disability. Disability, he said, had a “knock-on” effect through one’s entire life. Oscar Pistorius, the professor added, also had a “profound fear of crime”. The athlete, Wayne Derman said, had developed an “exaggerated fight response” and this was responsible for the “horrific tragedy” of Reeva Steenkamp’s death. Oscar Pistorius says he fired multiple shots into a toilet cubicle where Reeva Steenkamp was, while in a state of panic. The athlete and Reeva Steenkamp, 29, had been dating for about three months before the shooting. 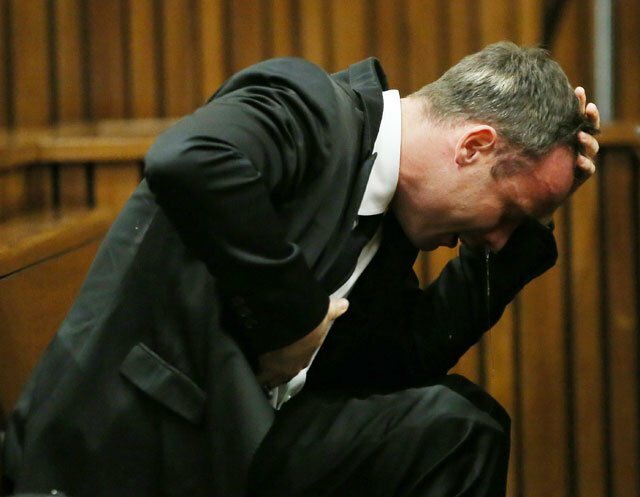 Oscar Pistorius has often displayed his emotions during the trial, including breaking down in tears in court. According to a psychologist’s report submitted at Oscar Pistorius’ murder trial, the athlete has post-traumatic stress disorder and could be a suicide risk. The report, read by Oscar Pistorius’ defense lawyer, said he was mourning his girlfriend Reeva Steenkamp. On Monday, the court heard that Oscar Pistorius, 27, was not suffering from a mental disorder when he shot Reeva Steenkamp. The Paralympic champion denies murder, saying he killed Reeva Steenkamp by mistake when fearing there was an intruder in the house. The prosecution says the Olympic athlete deliberately killed Reeva Steenkamp, a model and law graduate, after the couple had an argument. Both prosecution and defense have accepted the findings of the psychologist’s report. Two reports – one by a psychologist and another by three psychiatrists – were drawn up after a month of tests to evaluate the athlete’s state of mind. The prosecution on Monday noted that the psychiatrists’ report said Oscar Pistorius, 27, was capable of distinguishing between right and wrong and so should bear criminal responsibility for his actions. Defense lawyer Barry Roux on Wednesday quoted the second evaluation as saying that Oscar Pistorius, a double-amputee, has a history of feeling insecure and vulnerable, especially without his prosthetic legs. It said he was likely to react more sharply to fear than an able-bodied person would. “Should he not receive proper clinical care, his condition is likely to worsen and increase the risks for suicide,” Barry Roux quoted the report as saying. It also said he did not show signs of narcissism or explosive rage, which is usually seen in men who are abusive to their partners. Final defense witness Wayne Derman, professor of sports and exercise medicine at the University of Cape Town, said Oscar Pistorius was an anxious individual, with hand tremors and chronic problems with the stumps of his legs. Earlier, Oscar Pistorius’ manager was cross-examined, with prosecutor Gerrie Nel concentrating on the sprinter’s reported rows with roommate Arnu Fourie and his love life. On Tuesday, Peet van Zyl said Oscar Pistorius had become a “global icon” at the 2012 London Olympics and could have increased his income five or six times. Oscar Pistorius did not have a mental disorder when he killed Reeva Steenkamp, a psychological report said as his murder trial resumed in Pretoria. The report was presented following an evaluation into his mental health. 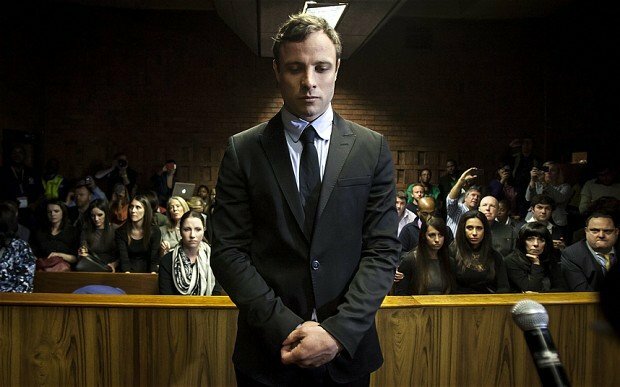 Oscar Pistorius’ defense team has argued he was suffering from an anxiety disorder at the time of the shooting. Both prosecution and defense have accepted the results of the report. The defense team is now hearing from Dr. Gerry Versfeld, who amputated Oscar Pistorius’ legs when he was just 11 months old. Oscar Pistorius had been born without the fibulas in both of his legs but went on to become an Olympic athlete. Dr. Gerry Versfeld is testifying about the impact of the disability on Oscar Pistorius, now 27, and to what extent he can walk without his prosthetic legs. The defense is expected to finish presenting its evidence in the next few days. Reeva Steenkamp, a 29-year-old model and law graduate, was shot through a toilet door at Oscar Pistorius’ house in Pretoria on Valentine’s Day last year. The couple had been dating for three months. “Mr. Pistorius did not suffer from a mental illness or defect that would have rendered him criminally not responsible for the offence charged,” said state prosecutor Gerrie Nel, reading from the psychologist report. The prosecution requested the evaluation after a defense witness said the double amputee was suffering from Generalized Anxiety Disorder (Gad). Oscar Pistorius underwent a month of tests as an outpatient at Weskoppies psychiatric hospital in Pretoria. Oscar Pistorius has begun his mental evaluation at a psychiatric hospital in South Africa’s capital, Pretoria. The judge at Oscar Pistorius’ murder trial has ordered that his mental state be assessed by health experts as an outpatient for up to 30 days. The move comes after a defense witness said the double amputee Paralympic champion was suffering from Generalized Anxiety Disorder (GAD). Oscar Pistorius 27, denies intentionally killing his girlfriend Reeva Steenkamp. He says he accidentally shot Reeva Steenkamp through the toilet door on Valentine’s Day last year in a state of panic, mistaking the 29-year-old model and law graduate for an intruder. Oscar Pistorius arrived before 09:00 local time at Weskoppies psychiatric hospital, where he will be assessed for seven hours. He will have to do this every weekday for the next month; the court’s proceedings are not set to resume until 30 June. Three psychiatrists and a clinical psychologist are to determine whether Oscar Pistorius’ state of mind and disability had an effect on him when he shot Reeva Steenkamp. Judge Thokozile Masipa said they would “inquire into whether the accused by reason of mental illness or mental defect was at the time of the commission of the offence criminally responsible for the offence as charged”. The panel of experts is also expected to interview some of Oscar Pistorius’ family members, South Africa’s eNCA broadcaster reports. The prosecution had argued the tests were essential after forensic psychiatrist Merryll Vorster, who diagnosed Oscar Pistorius with GAD, told the court he was “a danger to society”. Oscar Pistorius’ defense team vigorously opposed the move. Oscar Pistorius has been ordered to undergo a mental evaluation, the judge at his Pretoria murder trial has ruled. Judge Thokozile Masipa ruled that psychiatric evidence before the court could not replace “a proper inquiry” into his mental health. Correspondents say the trial, which began in March, will almost certainly now face a lengthy delay. 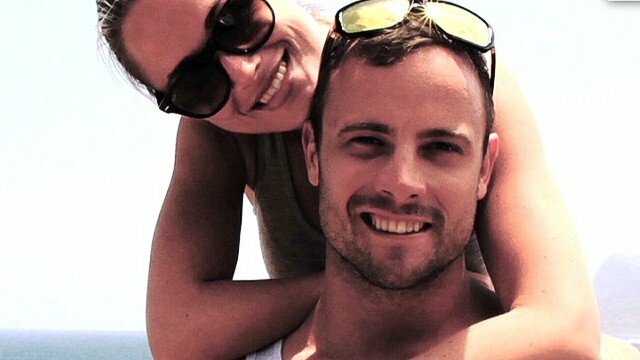 Oscar Pistorius denies intentionally killing his girlfriend Reeva Steenkamp on Valentine’s Day last year. He says he accidentally shot her through the toilet door in a state of panic, mistaking the 29-year-old model and law graduate for an intruder. Oscar Pistorius could be evaluated for a minimum of 30 days at a psychiatric faculty as a result of the evaluation order. In her ruling Judge Thokozile Masipa said that the South African criminal code stipulates that if an accused person is alleged not to be criminally responsible or is alleged to be mentally ill, he should be evaluated. She said that such an evaluation would ensure that Oscar Pistorius would get a fair trial, adding it would be “preferable” for him to undergo the evaluation as an outpatient. Prosecution lawyer Gerrie Nel made the referral application on Tuesday after forensic psychiatrist Merryll Vorster said earlier that the double amputee was suffering from generalized anxiety disorder (GAD). Gerrie Nel said that the disorder diagnosis left him with no choice but to apply for an evaluation because the condition might have affected Oscar Pistorius’ behavior on the night he killed Reeva Steenkamp. Prosecutor Gerrie Nel in the trial of Oscar Pistorius has formally requested that he undergo a mental observation. Gerrie Nel made the application after forensic psychiatrist Merryll Vorster said the Olympic double amputee was “a danger to society”. Judge Thokozile Masipa said she would announce her decision on Wednesday. 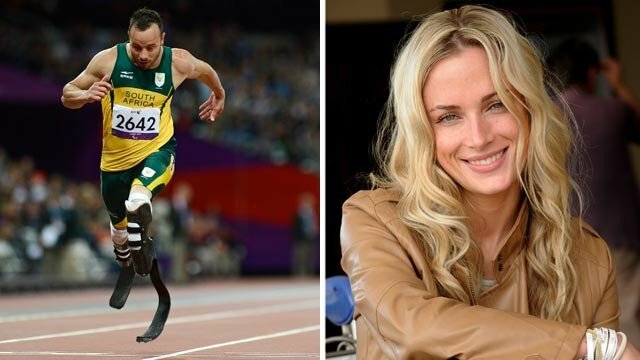 The Paralympic champion says he accidentally shot Reeva Steenkamp through the toilet door in a state of panic, mistaking the 29-year-old model and law graduate for an intruder. The court has adjourned until Wednesday. The prosecution accused the defense on Tuesday of changing its plea – from putative self-defense to a psychiatric disorder. Gerrie Nel said that a “psychiatric evaluation was essential” and it was in the interests of justice for the accused to be referred. The defense is vigorously resisting the prosecution move, which it argues is “manifestly absurd”. Dr. Merryll Vorster told the court earlier that she would not say that Oscar Pistorius had “a mental illness” and that he was “still able to function at high level as an athlete and still able to socialize”. But she said that people with Generalized Anxiety Disorders (GADs) like Oscar Pistorius probably should not have firearms. She said that GAD would not “render you unfit to stand trial”. On Monday Dr. Merryll Vorster said that the athlete had had an anxiety disorder since childhood and was “anxious” about violent crime. His actions on Valentine’s Day last year “should be seen in context of his anxiety”, she said. If the prosecution request is granted, Oscar Pistorius may spend up to 30 days in a state mental health institution for observation and assessment of his mental health. The athlete has described the prosecution move as “a joke”, insisting that Monday’s evidence from Dr. Merryll Vorster had “gone well”. But the prosecution argues that her testimony is further proof that the athlete is changing his defense. Court sources have indicated that it is unlikely that Judge Thokozile Masipa will grant the prosecution its request. Dr. Merryll Vorster said on Monday that the reactions of Oscar Pistorius in the early hours of 14 February 2013 would have been different to that of a “normal, able-bodied person without generalized anxiety disorder”. She said that Oscar Pistorius was more likely to respond to any threat with “fight” rather than “flight”. A psychiatrist has said at Oscar Pistorius’ murder trial that South African Olympic athlete has had an anxiety disorder since childhood and was “anxious” about violent crime. Meryl Vorster said that Oscar Pistorius’ actions when he shot his girlfriend Reeva Steenkamp on Valentine’s Day last year “should be seen in context of his anxiety”. The prosecution dramatically asked for Oscar Pistorius to undergo mental observation. Oscar Pistorius, 27, denies intentionally killing Reeva Steenkamp. The defense opposed the application before the court adjourned on Monday. It will reconvene on Tuesday. Correspondents say that if the prosecution’s application succeeds, Oscar Pistorius may spend up to 30 days in a state mental health institution for observation and assessment of his mental health. It was expected that the defense would conclude its case by the end of this week – after which both sides would have an opportunity to present their closing arguments. Oscar Pistorius says he accidentally shot Reeva Steenkamp through the toilet door in a state of panic, mistaking the 29-year-old model and law graduate for an intruder. Giving evidence on Monday, Meryl Vorster said that Oscar Pistorius was more likely to respond to any threat with “fight” rather than “flight”. The anxiety disorder was the result of surgery at the age of 11 months to remove his lower legs, she said, a “traumatic assault” for an infant at that age. She said that Oscar Pistorius felt remorse over Reeva Steenkamp’s death. “He feels guilty and has developed a depressive disorder as a result,” she said. The psychiatrist said that the reactions of Oscar Pistorius in the early hours of 14 February 2013 would have been different to that of a “normal, able-bodied person without generalised anxiety disorder”. However, she said that this would not have affected his ability to distinguish between right and wrong and that it was up to the court to decide whether his anxiety disorder – from which he had suffered since childhood – diminished his responsibility. “I think the generalized anxiety is relevant to the case. But the court will have to decide,” she said. Meryl Vorster said that generalized anxiety disorders are not uncommon, and were not signs of mental illness. Safety measures at his home were “out of proportion” to the threat of crime in South Africa, she said. Meryl Vorster said that Oscar Pistorius’ parents separated when he was six and his father was not a responsible parent. “[He was] largely absent, and his mother was anxious, sleeping with a firearm under her pillow,” she said. She said that Oscar Pistorius’ mother’s death in March 2002 meant that he lost an “emotional attachment figure”. State prosecutor Gerrie Nel asked Meryl Vorster whether someone with anxiety disorder plus guns would be “a danger to society”. A ballistics expert called by Oscar Pistorius’ defense team at his murder trial in Pretoria has questioned the state’s version of how he shot his girlfriend. Defense witness Tom Wolmarans says wounds show Reeva Steenkamp may have been standing when first shot. Oscar Pistorius, 27, denies intentionally shooting Reeva Steenkamp on Valentine’s Day last year. The prosecution alleges he shot her dead after a row and that she was cowering from him in the toilet. Tom Wolmarans, a former police officer, says all four shots hit Reeva Steenkamp. The state alleges one missed and ricocheted off a wall and injured her back and that the final bullet hit her hand and head as she was sitting in a defensive position. But Tom Wolmarans said splinter evidence showed the model was leaning forward towards the door when the first bullet hit her hip. The next bullet hit Reeva Steenkamp’s arm, the third bullet her hand and the last bullet hit her head as she was falling backwards, he said. On Thursday the court heard evidence about when Reeva Steenkamp may have eaten her last meal. Meanwhile, it has been reported that Oscar Pistorius has sold his home in the Silverwoods Estate where Reeva Steenkamp died. He put the house on the market at the end of March in order to fund his legal costs, one of his lawyers said at the time. An estate agent confirmed to South Africa’s Beeld newspaper that a sale was under way. Oscar Pistorius trial started at the beginning of March and was expected to last five weeks. The defense has said that it hopes to wrap up its case by May 16. Oscar Pistorius’ defense team is calling more witnesses at his murder trial in Pretoria, as it seeks to prove that he shot his girlfriend Reeva Steenkamp by mistake. Two of Oscar Pistorius’ closest neighbors said on Tuesday they heard a man crying loudly on the night of the shooting. 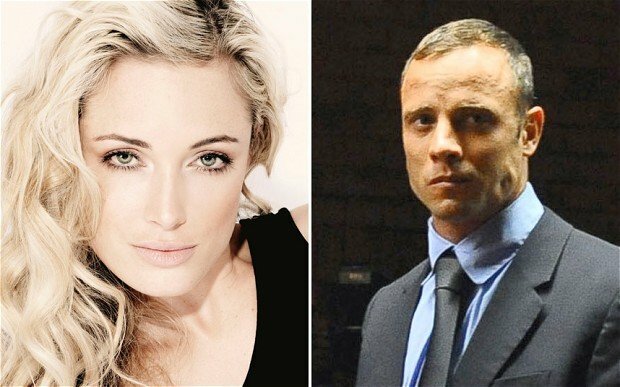 On Monday two other people – who were the first at the scene – described his frantic efforts to revive Reeva Steenkamp. The South African athlete is accused of murdering Reeva Steenkamp on Valentine’s Day last year. Oscar Pistorius, 27, denies intentionally killing Reeva Steenkamp and says he shot her through a toilet door in a state of panic, mistaking her for an intruder. The trial adjourned early on Monday after defense lawyer Barry Roux failed to get further witnesses to court following a two-week adjournment over the Easter break. Oscar Pistorius’ next-door neighbor, Michael Nhlengethwa, told the court on Tuesday that on the night of the shooting he went to the house after hearing a man “crying very loudly”. “I saw Oscar kneeling next to the lady, he was just crying,” the witness said. His wife, Eontle Nhlengethwa, also testifying, said she heard the loud sound of a “male person’s voice” crying “help, help, help”. Both witnesses said they did not hear a woman screaming, contradicting prosecution witnesses who had testified to hearing a woman scream. A ballistics expert is expected to take the stand later on Tuesday. On Monday, the court heard from two other neighbors who were first at the scene – Johan Stander and his daughter Carice. Johan Stander said the athlete “was broken” as he desperately tried to save his girlfriend, sobbing and praying for her life. He was the first person Oscar Pistorius called after the shooting. He implied that he thought Oscar Pistorius’ reaction showed that the shooting had been a mistake. In an emotional testimony, his daughter, Carice Viljoen, told the court she feared Oscar Pistorius would shoot himself with the gun used to kill Reeva Steenkamp. As well as a ballistics expert, the defense is expected to call a psychologist to speak about Oscar Pistorius’ disability and his acute sense of vulnerability. The prosecution has sought to show a pattern of reckless behavior by Oscar Pistorius and has argued that a reasonable man would have checked before firing four bullets through a locked door. The family of South African Paralympic champion Oscar Pistorius has denied he took acting lessons ahead of his testimony in the trial of the murder of his girlfriend Reeva Steenkamp. In a statement, they say claims Oscar Pistorius had received coaching for his emotional performance were “devoid of the truth”. Oscar Pistorius, 27, has broken down on several occasions during the trial, often disrupting proceedings. He denies intentionally killing Reeva Steenkamp in the early hours of Valentine’s Day last year. Oscar Pistorius says he fired four shots through a locked toilet door out of fear, believing there was a burglar inside. But the prosecution says the 29-year-old model and law graduate was deliberately killed after the couple had an argument. South African columnist Jani Allan claimed Oscar Pistorius took acting lessons ahead of his trial in an open letter to the athlete last week, saying she had heard it “from a reliable source”. “Oscar, you are the latest in a long line of faux heroes. Like so many who preceded you, you have betrayed your people and disappointed your fans,” Jani Allan wrote. Oscar Pistorius’ family said they felt compelled to deny the claims after they were widely circulated in the media. In a statement on the athlete’s website, spokeswoman Anneliese Burgess said Jani Allan had never met Oscar Pistorius and that any knowledge she had of him was “fictitious”. “This type of comment makes a mockery of the enormous human tragedy involving the Steenkamp family and our client and his family,” it adds. The allegations followed seven days of emotional testimony from Oscar Pistorius, who at times broke down in court and vomited when evidence from the post-mortem examination was presented to court. 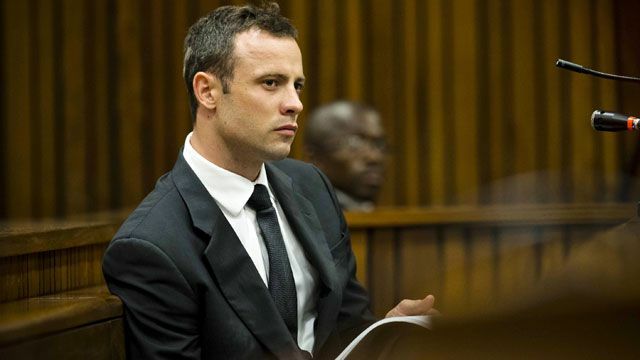 Oscar Pistorius trial has been adjourned over the Easter period and will resume on May 5. Forensic tests carried out by expert Roger Dixon for Oscar Pistorius’ murder trial have been rigorously challenged by state prosecutor Gerrie Nel in South Africa. Roger Dixon’s sequence for the shots that killed Reeva Steenkamp contradicts that of a police ballistics witness and pathologist. Oscar Pistorius, 27, denies intentionally killing Reeva Steenkamp in the early hours of Valentine’s Day last year. He says he fired in fear at a toilet door, mistaking her for an intruder. The prosecution says the 29-year-old model and law graduate was deliberately killed after the couple had an argument. 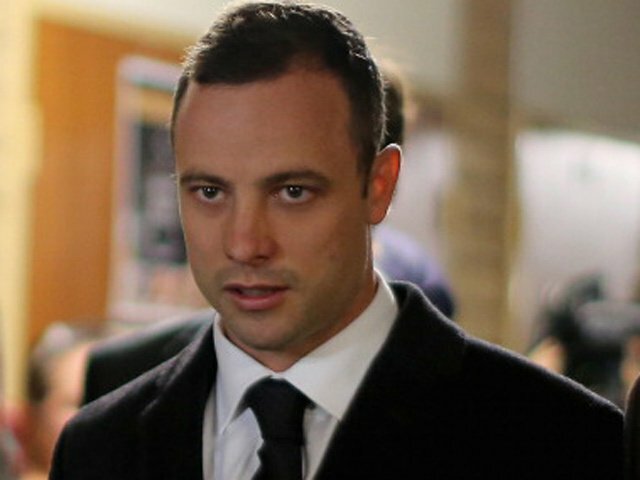 Oscar Pistorius faces 25 years to life in prison if convicted of premeditated murder. The trial has now adjourned for a break and will reconvene on Monday May 5. Before the questioning got under way on Thursday, Judge Thokozile Masipa warned those watching the televised proceedings in an overflow court next door about their “unruly” behavior. Judge Thokozile Masipa said she had been made aware that there had been shouting and cheering at times. “It is not an entertainment place,” she said. The prosecutor Gerrie Nel then continued his cross examination of Roger Dixon, a defense witness, who says he believes Reeva Steenkamp was standing at an angle to the door and that all four bullets hit her as she fell to the ground. Earlier in the trial, ballistics expert Captain Christiaan Mangena said he believed Reeva Steenkamp was standing up facing the closed door when she was hit in the right hip. He said she then fell back on to a magazine rack next to the toilet before three more bullets were fired at the door, one of which missed her. Roger Dixon’s testimony challenges the state’s version that Reeva Steenkamp would have had time to scream after the first bullet and that Oscar Pistorius then changed aim and continued firing. The forensic expert also told the court about light tests carried out in Oscar Pistorius’ bedroom and sound tests of a cricket bat striking a door and bullets hitting a door. However, Gerrie Nel has sought to cast doubt on Roger Dixon’s credibility and qualifications as a forensics witness, suggesting some of the tests were amateurish. He criticized him for not using a model the same height as Oscar Pistorius when on his stumps in a photograph to illustrate what neighbors would have been able to see through the bathroom window at night. In the photograph a man was kneeling in front of the window. “It is something I omitted. I overlooked it at the time,” said Roger Dixon, a geologist and university lecturer who worked as head of materials analysis at a police forensic laboratory in Pretoria for 18 years until 2012. Gerrie Nel also sought to prove that he was out of his depth when he was testifying about marks on Reeva Steenkamp’s body. He had identified one as a bruise which other pathologists had not, Gerrie Nel said. At one stage on Wednesday Roger Dixon used the phrase “in my layman’s understanding”. “Now you call yourself a layman. You see how irresponsible it is to make inferences that aren’t in your area of expertise,” the prosecutor replied. Before the court adjourned, he was re-examined by defense lawyer Barry Roux and described how an official at the shooting range, where the sound tests were carried out, mistook the sound of the cricket bat striking the door for gunshots. Roger Dixon took the stand on Tuesday after seven days of testimony from Oscar Pistorius came to an end with him reading a Valentine’s Day card from Reeva Steenkamp. Oscar Pistorius is known as the “Blade Runner” because of the carbon-fibre prosthetics he uses on the track. Reeva Steenkamp was shot in quick succession as she fell down, a forensics expert has told Oscar Pistorius’ murder trial. This differs from a police ballistics witness who said there was short break between the first and second shots. Oscar Pistorius denies intentionally killing Reeva Steenkamp in early hours of Valentine’s Day last year. He says he fired rapidly in fear through the toilet door after he mistook Reeva Steenkamp for an intruder. The trial has been adjourned until Thursday, which will be the last day before a break; proceedings will resume on Monday 5 May. Forensics expert Roger Dixon, a defense witness, says Reeva Steenkamp was standing at an angle to the door and that all four bullets hit her as fell to the ground. He said she then fell back onto a magazine rack next to the toilet before three more bullets were fired at the door, one of which missed her. On Tuesday, Roger Dixon told the court his tests showed that with the light out, Oscar Pistorius’ bedroom would have been almost completely dark on the evening of the shooting, despite a couple of LED lights. This also supports Oscar Pistorius’ evidence that he did not see whether Reeva Steenkamp was still in bed when he got up. The court also heard sound recordings Roger Dixon had made – of a cricket bat striking a door similar to the one in Oscar Pistorius’ toilet, and of gunshots fired through the door at a distance of 60m (196ft) and 180m. Roger Dixon seemed to struggle to tell the sounds apart, which the defense will use to cast doubt on what neighbors say they heard that night. 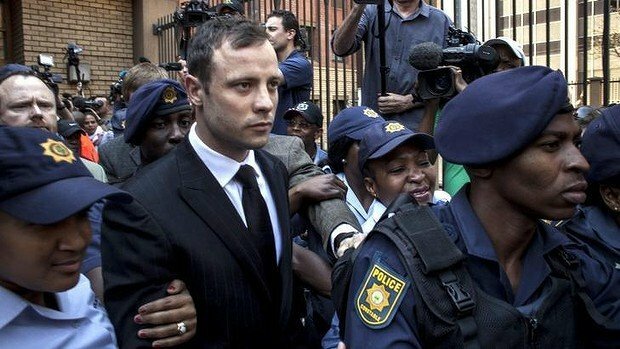 Prosecution witnesses have testified to hearing a woman scream followed by gun shots, but the defense disputes their testimony, saying the only scream came from Oscar Pistorius – after he had fired. But prosecutor Gerrie Nel has sought to cast doubt on Roger Dixon’s credibility and qualifications as a forensics witness during his cross examination on Wednesday. 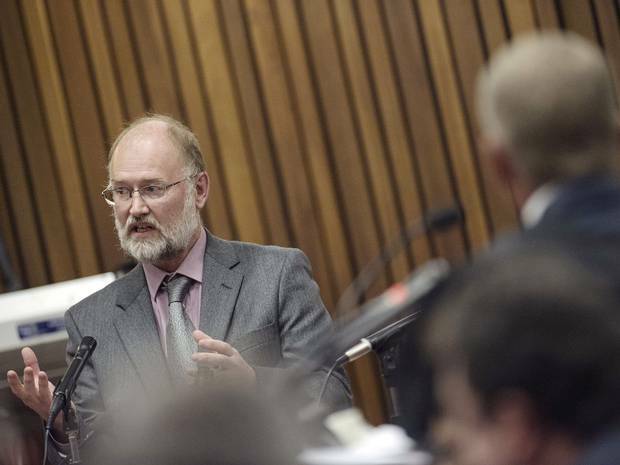 Roger Dixon is a geologist and university lecturer who worked as head of materials analysis at a police forensic laboratory in Pretoria for 18 years until 2012 and repeatedly said he was not a ballistics expert. At one stage Roger Dixon used the phrase “in my layman’s understanding”. “Now you call yourself a layman. You see how irresponsible it is to make inferences that aren’t in your area of expertise,” Gerrie Nel replied. Roger Dixon took the stand after seven days of testimony from the sprinter came to an end with him reading a Valentine’s Day card from his girlfriend. Reeva Steenkamp Valentine’s card has been presented to court during Oscar Pistorius’ murder trial in Pretoria. Reeva Steenkamp had intended to give the card to Oscar Pistorius before he shot her dead. The athlete read the poem to the court after five days of gruelling cross-examination. Earlier, Oscar Pistorius said he was “heartbroken” when he saw her body in the early hours of Valentine’s Day last February. Oscar Pistorius denies murder, saying he fired through a door in fear, believing there was an intruder behind it. The prosecution says he deliberately shot dead Reeva Steenkamp, a 29-year-old model and law graduate, after the couple had had an argument. Oscar Pistorius, 27, faces 25 years to life in prison if convicted of premeditated murder. His defense lawyer Barry Roux presented to the court the Valentine card which Reeva Steenkamp had got the athlete. The double-amputee sprinter read the card out in a trembling voice. Reeva Steenkamp was shot dead in the early hours of Valentine’s Day – before they had opened each other’s cards and gifts. Oscar Pistorius has previously told the court he only opened the card on Reeva Steenkamp’s birthday, in August 2013. On the final day of his cross-examination, Oscar Pistorius said that after shooting and realizing Reeva Steenkamp was not in the bedroom as he believed, he tried to break down the door with his shoulder, before using a cricket bat, all the time screaming in panic. He said he stopped screaming when he finally opened the door and saw the body. But this was disputed by prosecutor Gerrie Nel. “You fired four shots through the door whilst knowing that she was standing behind the door,” he said. The athlete has previously said he and Reeva Steenkamp had spent a quiet evening together before he woke up on hearing a noise in the bathroom. 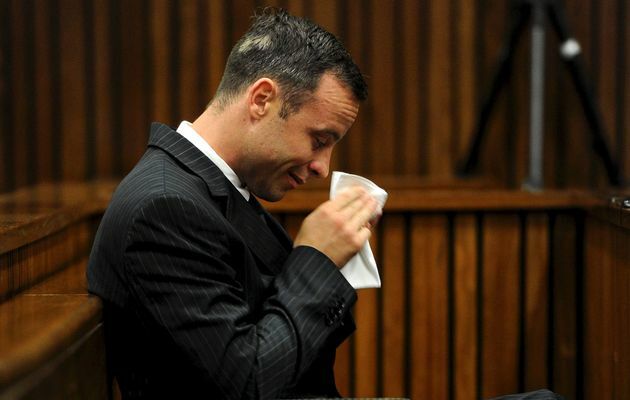 During the cross-examination, Oscar Pistorius broke down in tears on several occasions. Gerrie Nel suggested that he was doing this on purpose when he was struggling to explain his actions. Oscar Pistorius has now ended his testimony. Oscar Pistorius has told his murder trial in Pretoria he was “heartbroken” when he saw the body of his girlfriend Reeva Steenkamp. “I crouched down over her… and I checked to see if she was breathing or if she had a pulse,” the athlete said. The prosecution has now finished five days of grueling cross-examination, which has seen the athlete break down on several occasions. Oscar Pistorius, 27, denies murder, saying he mistook his girlfriend for an intruder. The prosecution says Oscar Pistorius deliberately shot dead Reeva Steenkamp after the couple had had an argument and has suggested he is staging his emotional outbursts. Before his cross-examination ended, the court was shown a photograph of the toilet covered in blood where Reeva Steenkamp was shot in February 2013. Oscar Pistorius said that after shooting through the toilet door at what he thought were intruders, he realized he may have mistakenly killed his girlfriend, a 29-year-old model and law graduate. 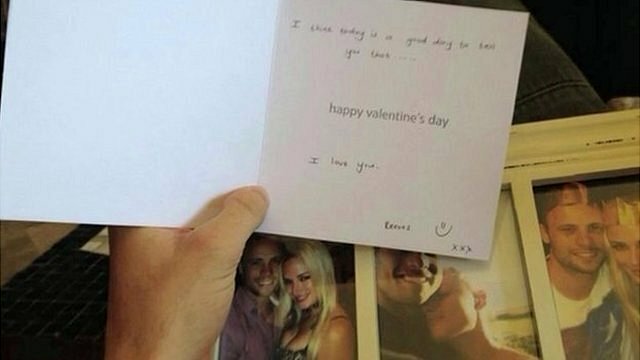 After the cross-examination ended, Oscar Pistorius’ defense lawyer Barry Roux asked a few further questions before presenting to the court the Valentine’s Day card which Reeva Steenkamp had written for the athlete. Reeva Steenkamp was shot dead in the early hours of Valentine’s Day 2013. Prosecution witnesses have testified to hearing a woman scream, but the defense disputes their testimony. Judge Thokozile Masipa temporarily halted proceedings on two occasions on Monday after Oscar Pistorius broke down sobbing. Both prosecution and defense have asked Judge Thokozile Masipa to postpone the case until May 5, following Tuesday’s cross-examination. Gerrie Nel said members of his team were engaged in “more pressing” cases, which needed their attention, as well as “personal arrangements”. The defense said the case should still finish on May 16, as planned. The judge said she would deliver her judgement on this request on Wednesday. Prosecutor Gerrie Nel at the Oscar Pistorius murder trial in Pretoria has suggested the South African athlete is using his emotions “as an escape”. 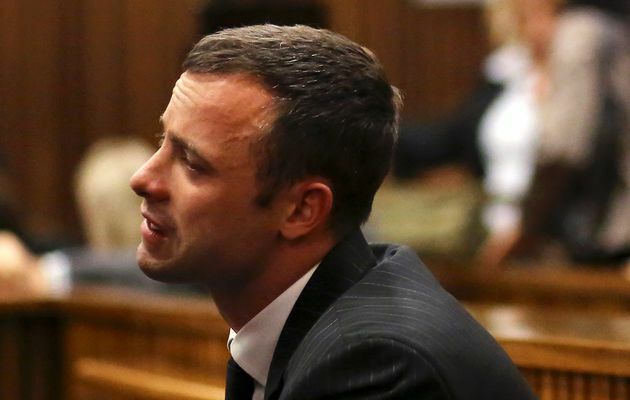 Oscar Pistorius, 27, broke down in tears four times on Monday and has also vomited in court. “Now you trying to be emotional and it’s not working,” said prosecutor Gerrie Nel. Oscar Pistorius admits killing girlfriend Reeva Steenkamp on February 14 last year, but says he fired his gun after mistaking her for an intruder. Gerrie Nel said Oscar Pistorius had deliberately shot Reeva Steenkamp after the couple had had an argument. As the prosecutor resumed his cross-examination on Monday, he accused Oscar Pistorius of “tailoring his evidence” as he went along to suit the defense case, which had been “concocted”. “Your version of events is untrue,” Gerrie Nel said. Gerrie Nel spent much of the day trying to highlight apparent inconsistencies between Oscar Pistorius’ bail application and his evidence in court. On one occasion, when Oscar Pistorius corrected Gerrie Nel, the prosecutor said this showed the athelte was a “stickler for detail” and yet on many aspects of the case, the athlete was being vague. Earlier, Gerrie Nel again pressed Oscar Pistorius on the moment he shot Reeva Steenkamp. The athlete said he had not intended to kill anyone. “I fired out of fear,” he said. This prompted Gerrie Nel to say Oscar Pistorius was changing his story from self-defense to saying he shot by accident. “It’s not true,” Oscar Pistorius replied, breaking into tears and prompting the court to briefly adjourn. After the break, Gerrie Nel said that, as Oscar Pistorius was trained to use firearms, the court could not accept he had fired by “mistake”. The prosecutor said the fact that a pair of Reeva Steenkamp’s jeans was lying on the bed showed that she was in the middle of getting dressed in order to leave Oscar Pistorius’ house when she was shot after the couple had argued in the early hours of Valentine’s Day 2013. This was denied by Oscar Pistorius. The Paralympic champion also started sobbing as he recalled shouting at the burglars he thought were in his house. When asked why he broke down, Oscar Pistorius said: “I am traumatized” by the events of that night. Oscar Pistorius said that Reeva Steenkamp did not scream or shout as he grabbed a gun and fired shots that killed her. 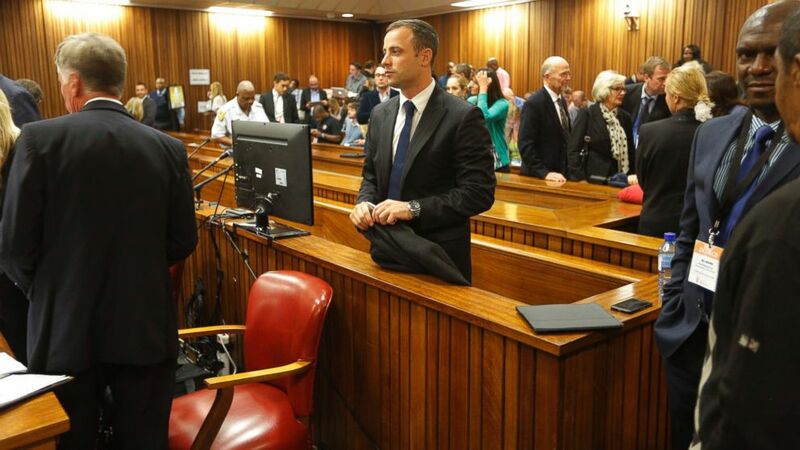 At the athlete’s murder trial in Pretoria, prosecutor Gerrie Nel said it was “improbable” that Reeva Steenkamp would stand in the bathroom saying nothing while Oscar Pistorius was just 10 ft away shouting at her to call the police. Oscar Pistorius, 27, said he could not explain why she had not shouted out. The Paralympic champion denies murder saying the killing was a terrible accident. He admits killing Reeva Steenkamp but says he fired his gun after mistaking her for an intruder. Oscar Pistorius believed Reeva Steenkamp had been in bed when he grabbed his gun, made his way to the bathroom and fired shots through the door. The prosecution says he killed her after an argument. On the third day of his cross-examination, Gerrie Nel pressed Oscar Pistorius to explain the final moments leading up to the shooting. Gerrie Nel asked why he had not checked whether Reeva Steenkamp had heard his calls for her to phone the police, or why he had not taken her to safety instead of going to confront the supposed intruder. Oscar Pistorius said it was his personality to confront what he believed was an intruder. The trial has been adjourned until Monday morning. Later, Gerrie Nel questioned Oscar Pistorius’s account that he had not heard Reeva Steenkamp shout or scream during the whole incident. He said it was the “most improbable” part of the account. “At that stage when you shouted at Reeva to phone the police, she was 3 m away from you in the toilet, but she didn’t say anything,” he said. Oscar Pistorius said he did not know. The prosecutor accused the athlete of lying, and said he had shot Reeva Steenkamp while she was talking to him from the bathroom. “She wasn’t scared of an intruder,” he said. Oscar Pistorius took a long time to answer, and broke down into sobs. “At no point did Reeva shout out or scream,” he said. Gerrie Nel then disputed his claim, saying he would not have been able to hear if he had just fired his gun. Gerrie Nel repeated a line of attack he had used on Thursday, testing the defendant’s version of events, and accusing him of lying. Oscar Pistorius told the court he had heard a window opening and closing, and had immediately got out of bed and grabbed his gun. “I told Reeva to get down and phone the police,” he said. Gerrie Nel asked if he had not looked at Reeva Steenkamp, or asked if she had heard the noise. “On the morning of the 14th I was sure of what I heard,” he said. The double amputee faces life imprisonment if convicted of murdering 29-year-old model Reeva Steenkamp. If he is acquitted of murder, the court must consider an alternative charge of culpable homicide, for which he could receive up to 15 years in prison. Oscar Pistorius also faces charges of illegally firing a gun in public and of illegally possessing ammunition, both of which he denies. Oscar Pistorius has denied “picking on” his girlfriend Reeva Steenkamp, as his cross-examination continues at his murder trial in Pretoria. The Paralympic champion was commenting on a mobile phone message Reeva Steenkamp had sent him. The prosecution has been trying to portray Oscar Pistorius as self-obsessed and negligent with firearms. Oscar Pistorius denies murdering Reeva Steenkamp, saying he accidentally shot her dead through a door, fearing there was an intruder in his house. Prosecutors say Oscar Pistorius intentionally killed his girlfriend on Valentine’s Day last year by firing a gun through a bathroom door at her after a row at his Pretoria home. Oscar Pistorius, 27, who is a double amputee, faces life imprisonment if convicted of murdering the 29-year-old model, reality TV celebrity and law graduate. 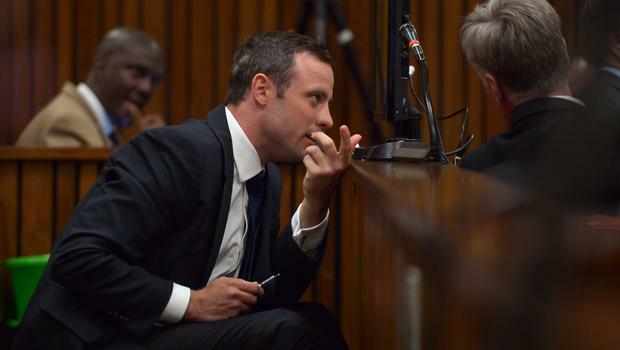 Under intense cross-examination, Oscar Pistorius said he had not meant to pull the trigger, even to fire at an intruder. “It was an accident… I didn’t have time to think,” he said, his voice trembling after he had been generally calm in contrast to previous days. Earlier, chief prosecutor Gerrie Nel, known as the “bull terrier” in South Africa for his fierce questioning, suggested that Oscar Pistorius was only concerned about himself during the couple’s three-month relationship. Gerrie Nel is trying to give an impression that the Paralympic athlete is self-centred, contemptuous of his girlfriend and lacking responsibility. He suggested that Oscar Pistorius should have apologized to Reeva Steenkamp’s family in private, rather than making a “spectacle” by doing it in court as he opened his defense on Monday. The athlete replied that he had not had the opportunity and had been unable to find the correct words. In court, June Steenkamp shook her head as Oscar Pistorius was taken through several WhatsApp messages, which Reeva Steenkamp had sent. He also denied ever shouting or screaming at Reeva Steenkamp, or a previous girlfriend, Sam Taylor, as she had testified earlier in the trial. 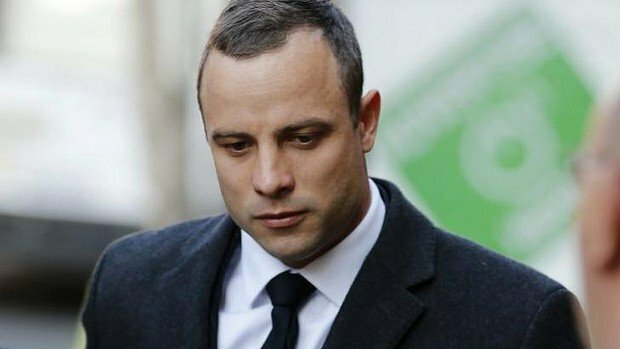 Referring to an incident when a gun was fired in a restaurant, Oscar Pistorius said he had not been aware the gun was loaded but insisted he had not pulled the trigger. Gerrie Nell said a gun firing itself would be a “miracle”. He also accused Oscar Pistorius of lying and not taking responsibility for his actions. “You will blame anybody but yourself,” the prosecutor said, after Oscar Pistorius had questioned the decisions of his defense lawyers. Oscar Pistorius did admit keeping ammunition in his bedside table, rather than in a safe. He said he was usually armed “for my own safety”. 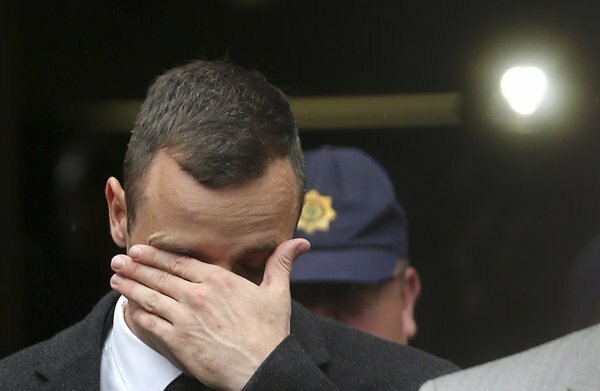 On Wednesday’s dramatic first day of questioning by Gerrie Nel, Oscar Pistorius became distraught as he was shown a photo of Reeva Steenkamp after her death.